Hi everyone! Welcome to Q & A with Coach Rebecca. 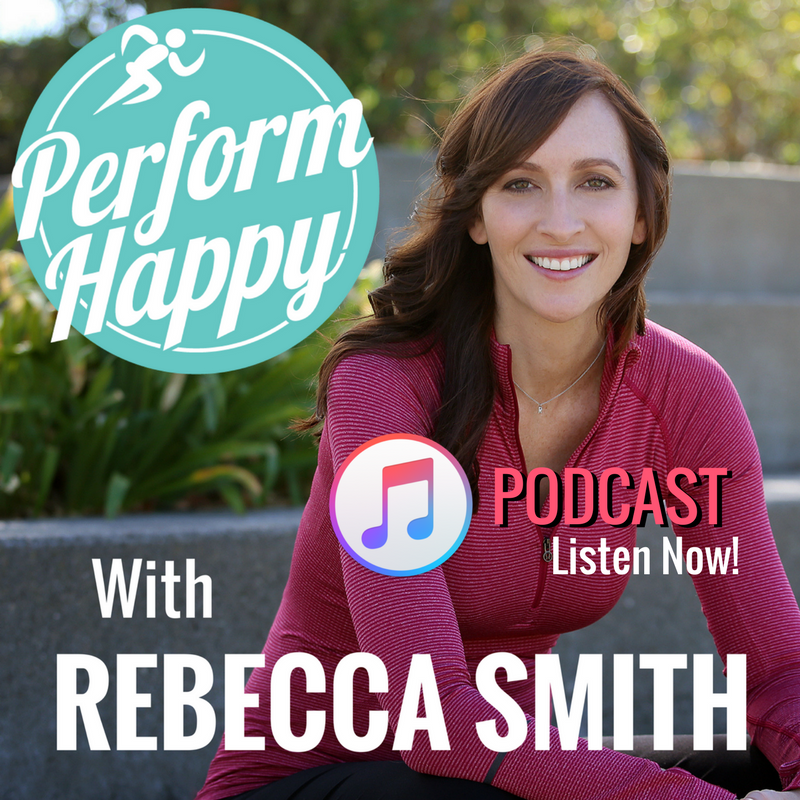 I’m Rebecca Smith with Complete Performance Coaching and the PerformHappy community. I’m here to answer your questions on all things mental toughness training. 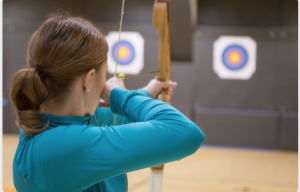 Q: I’m a competitive archer, aiming to qualify for the U.S archery team two years from now. We have a competitive event setup with many short two to four minute breaks in between each end of arrows we shoot. This is one of the challenges to build a routine for this waiting time that maintains the focus. It’s easy to be somewhat distracted here if one does not have a plan for this time. I do have a routine. My question was more if you can see the most efficient way of relaxing while still being able to reload and focus quickly again. What would you in general build such a routine up, breathing mantras, visualization, physical stress reduction is what I can come up with. I love this question because I actually get it a lot. People often ask me what they should do before they shoot, race, perform – they want to know what to do beforehand to set them up for perfect focus. I’m going to give an answer that you might not like, but it’s the true, right answer. I’m going to walk you through one of my freebie downloads, the Pre-Race Mental Strategy Planner. I’ve put it together for swimmers, but it applies to all sports, particularly closed sports, which is any sport that does the same thing. This means you’re doing the same sequence of events. If you’re a swimmer, it’s the exact same thing that you do every time you do that race. If you’re a gymnast, it’s the exact same routine. For figure skaters, it’s the exact same program, archer or a shooter, it’s the exact same sequence. You want to have your mind choreographed to match so your mind is trained just as well as your body and you use your time wisely to get yourself in the zone or flow. The first question that I want to ask you when you say, “What do I do with this time?” is I direct you back to a strong performance. I actually have a course on this in the PerformHappy community that walks you through it thoroughly, but I’ll give you the reader’s digest version here. Think of a strong performance, a time when you did really well and did exactly what you wanted to do. I call this peak performance. Once you’ve thought of it, you actually go back and do some imagery. You close your eyes, get relaxed, and remember the experience. Start remembering it from a week prior, all the way up to the morning of the, even the night before the morning of that day of, when you arrived at the venue, etc. Walk yourself through the entire performance and then ask yourself a series of questions. I know we’re going way back, but I’m going to answer your question, I promise. Go back to the week before. What did you do to prepare? A lot of the time people have had good practices. Maybe, maybe not. Maybe they were in a hurry. Whatever happened, it doesn’t matter if you look at it and think that was good or that was bad. 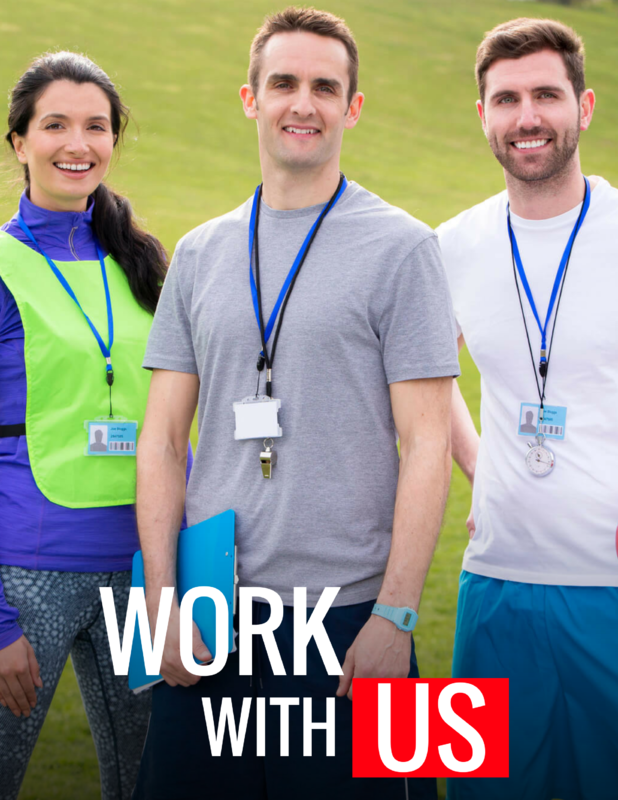 We’re getting information on what’s going to work for you personally. Think about what you did the day before, the day of, immediately before, and what you did in between while reloading. You start to make some lists. What did you do before you were successful? You can also look at practices – what did you do before you were consistent? Start to write down facts. I could say, “Breathe in. Count to three and then you should do this and then that.” I could say that, but there’s so much more to everybody’s individual routine. This is not something that is a one size fits all mental skill, everybody has different needs. Everybody has different focusing styles. Some people have broad focus, some people have narrow focus. Some people get really distracted, some people need to be distracted. It all depends on a lot of factors. Your best bet is going with the facts what already works for you. If you’ve gotten to the level that you’re at, I’m guessing you already have a lot of information on what works for you. So you’re thinking back on that past peak performance. Now, find another one. Maybe your second best performance. Go through what did you do the week before. What did you do the day before, the night before, the morning of? What did you eat? Who did you talk to? What did you do as you were reloading at critical moments within your performance, when? What did you do after? I like to actually go through three performances because you’ll start to see some clear patterns. Then we go back to a poor performance. Remember a time when you blew it, when you did not do your best, you did not maintain focus, and you didn’t do what you had set out to do. Again, go through all those questions. What did you do the week before, the day before, etc? Once you’ve got three of each, you’re going to have a really nice list of information that’s useful in this process. You can look at it and go, “Well, the times when I did really well, I was running late or distracted.” It’s really interesting what you’ll notice. It’s not the typical, “Well, I counted to four and I imagined this thing.” It might be, but typically people like to do a lot of stuff. They do a lot of stuff when they’re nervous. They’re thinking, “This really matters, so I’m going to run out and do a bunch of stuff. I’m going to listen to my headphones, do a playlist I’ve never heard before, and I’m going to jump up and down in a way that I don’t typically do. I’m going to do a bunch of visualizing even though I don’t do that at practice,” because they think that if they do the “mental toughness stuff”, they’ll be mentally tough. In reality, you have to do what works, which for most people is less than you think. It’s usually comically less than you think. Often with people who get really nervous, it’s chatting with their friends that that could literally be part of it. Now, obviously in this situation, it’ll be a little bit different, but you’ll know that you’ve done. You’ve had really good performances and it’s for a reason because it’s gotten you into the ideal mindset, which is different for everybody. After you’ve gone through your past strong performances and past poor performances, then you can start looking into helpful techniques. If you have identified that you need to be very focused on one single thing, then great. You might decide to choose a mantra. Maybe you decide to have breathing be the one single thing. That’s when you add in the other techniques. I’m going to rattle through a list of potential techniques that might be useful. Once you figure out what that mindset is that you need, then you can start playing with these techniques, if you need it, if it’s even necessary. This is you seeing the performance that you’re about to complete happen in your mind. For example, again, going to swimmers. If your goal is a certain time, almost always that will get in the way because it takes you out of the moment and you have to be in the moment to be in flow. When you’re thinking about the outcome, it can really distract from what you need to do to execute your best performance. If you’re in a timed sport, you might not want to do that. You’re much better off just doing one thing at a time and then at the end you find out your time or your score. One way that’s really simple and powerful is to breathe in through your nose, out through your mouth, a full exhale, which triggers the relaxation response, which tells your brain nothing’s on fire. There’s no tiger here, we don’t need to fight or flight to kick in. Have you noticed that fight or flight response sent you into a poor performance? You might want to focus on relaxation techniques that can allow you to turn off the fight or flight response. Now these can be of any sense. You can have a sight focal point, an audio cue, something you say to yourself either out loud or in your mind. You can have different triggers on your equipment that remind you a certain thing, a certain mantra. I really like to link physical with emotional. For example, golfers might release their club and let go of the previous hole physically with their hands. As they’re letting go physically they’re letting go emotionally and mentally. Those types of things can be really useful where you do a little reset. You can even clench and relax or you can leave the previous race in the warm down pool. Whichever example works for you, linking physical with mental makes it really powerful and useful. You’re finding ways to control your energy and emotions. If you notice that there’s a certain emotion that might get you out of whack, then you’d want to have a technique in place that prepares for relaxation. Even tensing and relaxing is actually called progressive relaxation. It’s something that you’d want to practice outside of a competition environment before you bring it in. A few more techniques – confident thoughts, confident body language, present moment awareness, breathing is another great way to pull you into the moment, but anything that brings you in, whether it’s the sound of the environment, the snap of your fingers, something physical, rubbing or patting yourself down, any of those can bring you into the moment. If you’re a more sensory, physical touch person, then that would help. For athletes who are more auditory, you’d want to listen to music or, or say something to yourself. If you are more of a visual person, you’d want to see something or do imagery, another thing to just quiet your mind. You’re just going to do a rough draft. “I’m going to do this, this, and this,” and then you go to practice and you try it out. You try it, you try it again, and you try it again, and you notice what it did to your performance. What did it do to your focus? What’s missing? Is your energy going wild? Are your emotions getting in the way? Are you overthinking? You figure that out through a series of practices. Then you started at a low-pressure competition. You try it as your routine and then you make notes and you adjust. That’s like mental training. This is a nice little overview of how mental training works. We go back to what already has worked for you, what has not worked for you? We’re going to cross those strategies off the list. Here are some ideas you can try. You try those, see how it goes, revise, refine, and then make it concrete and now you have that routine be part of your imagery of competition. You build that in so that it’s non-negotiable so that when your train leaves the station, when you start your competition, you know it’s going to go exactly the way you have it planned. Of course, certain things will vary, but you’re ultimately in control of your mind when you have this in place. So if you have any questions, so feel free to send them to me at Rebecca@performhappy.com. Again, we have a whole course on this in the PerformHappy community. You can get a copy of that download by going to completeperformancecoaching.com/race. 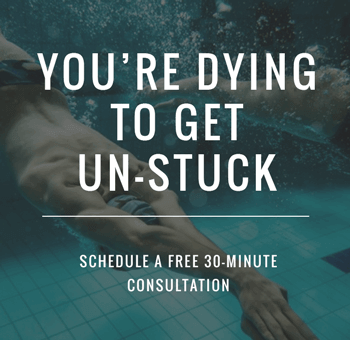 It has a picture of a swimmer on it, but this applies to any sport that is a fixed sport where you’re doing certain activities in the exact same way every time. I think it also would apply to other types of performance. I’ll be popping in on Instagram and I’ll be in your inbox on Saturdays, dropping various things from all the different coaches, tips on how to be mentally tough, and if you want to get on that list, you can join us at completeperformancecoaching.com.